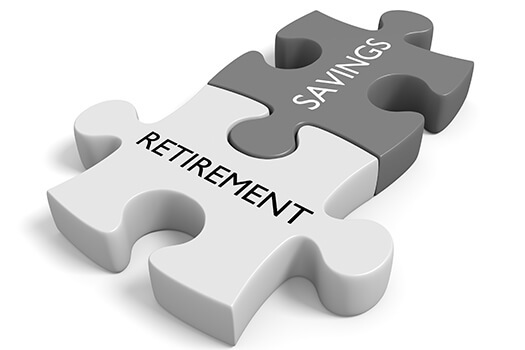 No one wants to experience financial woes a few years into their retirement, but this situation is becoming more and more common. According to the National Council on Aging, just over 25 million seniors in the United States can now be classified as economically insecure. If your elderly loved one wants to make the most out of retirement while sticking to a strict budget, he or she should consider these tips. Retirees are living longer than ever, and many are starting to realize their savings aren’t going to last for more than a decade or two. Seniors should continue tracking their retirement accounts and investments to make sure those assets are still producing money. While some investments will do much better when left alone, seniors with diverse portfolios might want to move their money around once every few years when opportunities arise. Seniors may find it difficult to plan their finances while managing everyday tasks on their own. If your aging loved one needs occasional help with bathing, grooming, cooking, or other basic household tasks, or if you need time to attend to important personal matters, reach out to Home Care Assistance, a leading provider of live-in and respite care. Green Valley seniors can maintain their independence while living at home with the help of our reliable respite caregivers. When seniors no longer have the option of picking up a few extra shifts to make ends meet, their monthly budgets must be as precise as possible. All expenditures should be broken down into essentials, nonessentials, and leisure purchases such as vacations. Once there is a good safety net and essentials are covered, seniors can then spend a little extra on leisurely activities every month. Certain healthcare expenses are unavoidable, but sticking to a few healthy lifestyle habits can drastically reduce the risk of developing several age-related diseases. After years of extensive research, some doctors and dietitians are now suggesting seniors should adopt the Mediterranean diet to enhance their physical and mental health. The Mediterranean diet is filled with fresh produce, healthy fats, nuts, legumes, fish, and chicken. Making healthy lifestyle choices is one of the many ways seniors can stave off age-related diseases. If your elderly loved one needs help maintaining a high quality of life while aging in place, reach out to Home Care Assistance, a trusted provider of Green Valley home care. Services our caregivers provide include transportation to and from medical appointments and social events, nutritious meal preparation, assistance with daily exercise, and help with everyday tasks like bathing, grooming, and light housekeeping. Seniors may become so used to paying for certain services that they now think of them as essential expenses. An example of this would be paying for a cable television and house phone package. These services often cost thousands of dollars every year, and they can easily be replaced with newer technology such as streaming video services and smartphones. Getting used to new technology might take a little bit of time, but the payoff will be worth it. Hiring an experienced financial consultant can be a great investment for seniors who are living on fixed incomes. A consultant or CPA could provide some tips to make every dollar count, such as suggesting when to withdraw money from certain accounts and how to keep taxes as low as possible. Some of these professionals even offer free consultations just to give their clients an idea of what they can do. Planning your senior loved one’s finances can be a challenging task. Consider hiring a professional caregiver if you need a break from your caregiving duties to tend to your loved one’s financial matters. Families looking to hire a Green Valley caregiver can reach out to Home Care Assistance. All of our hourly and live-in caregivers receive extensive ongoing training to ensure they provide the high-quality in-home care seniors need and deserve. To hire a professionally trained caregiver, give us a call at 520-625-2050 today.